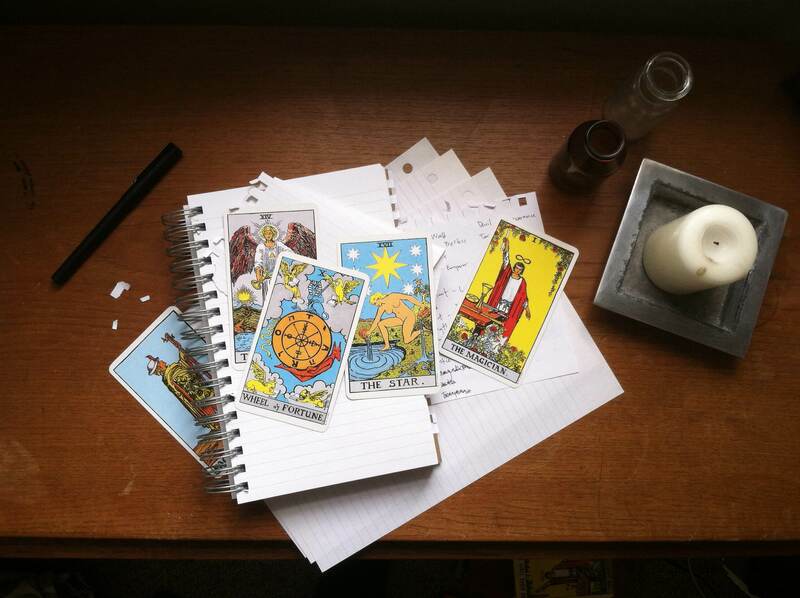 Back when I started learning tarot, if you’d asked teenage me whether or not the cards were magic, I’m not really sure what I would have told you. I’d have wanted to say yes. The idea that some form of magic might be tangibly real still had an appeal to me. It still does now, if I’m honest. I think I knew pretty much right away, though, that tarot cards aren’t magic. At least, not in the way people usually use the word. I remember opening the cellophane wrapper of my cards, dumping them out, and immediately trying to give my friend a reading using the slim manual that came inside the box. Carefully, I laid out a spread. I squinted at keywords in the flicker of the scented Christmas tree candles we’d lit to set the mood. There were a lot of “ummm”s, and statements that went up at the end like questions, and I think we decided maybe she was going to fail her math exam. She never let me practice with her after that. In fact, I didn’t do another reading for someone else until years later, after college, when my older sister started learning tarot. For most of that time I would never have admitted that I even owned a deck. I taught myself the cards late at night inside my closet (with all the skeletons), where the light wouldn’t wake anyone, crouched over a guidebook in my pajamas. There was very little about the whole thing that felt magical. And yet.